Home / Articles / Is that the Scottish Parliament in Barcelona? Is that the Scottish Parliament in Barcelona? No similar, verifiable phenomenon had ever before occurred in human history. The field of physics was thrown into disarray, when not one scientist could offer an explanation for why a building with a footprint of some four acres should suddenly, and without warning, disappear from its site beneath the cragged, volcanic mountain of Arthur’s Seat, and reappear on the site of the Mercat Santa Caterina. Clearly some kind of anomaly in space-time had pulled the unicameral legislative chamber through a trans-dimensional schism. But the egg-heads had no pre-existing theory for how or why this might have occurred, or indeed whether it could happen to other devolved legislatures in the future. Naturally, the explanatory void was filled with all manner of mystical and magical explanations. Experts in the mythology of the lost city of Atlantis suddenly found themselves relevant. Some people theorised that the transposition was the influence of an alien teleport device. Others claimed it as proof that the world was a giant computer simulation, and moreover one that had just developed a rendering bug. Rival theologians argued over whether the transplant of 129 MSPs and their support staff into the heart of the Catalonian first city was God visiting punishment on the people of Edinburgh, or on the people of Barcelona. Those present inside the Scottish Parliament when it was removed to Spain reported a smooth ride. There was a loud bang, which at the time most people interpreted as a bomb, but in retrospect they described as something akin to a sonic boom. And when they rushed to the window to see what had happened, they saw that the green view of the Salisbury Crags had been replaced by the unmistakable, claustrophobic architecture of the Barri Gotic. The challenge that the displacement of the Scottish Parliament posed to the established scientific world-view was great. But the challenge that the reorientation posed to European politics was arguably even greater. First, was the Scottish Parliament now a part of Spain? The Spanish government certainly thought so, and quickly ordered a police cordon of the entire site. However, many in the local police were loyal to the cause of Catalonian independence, and not minded to follow orders from Madrid too closely, especially when an issue of sovereignty was at stake. 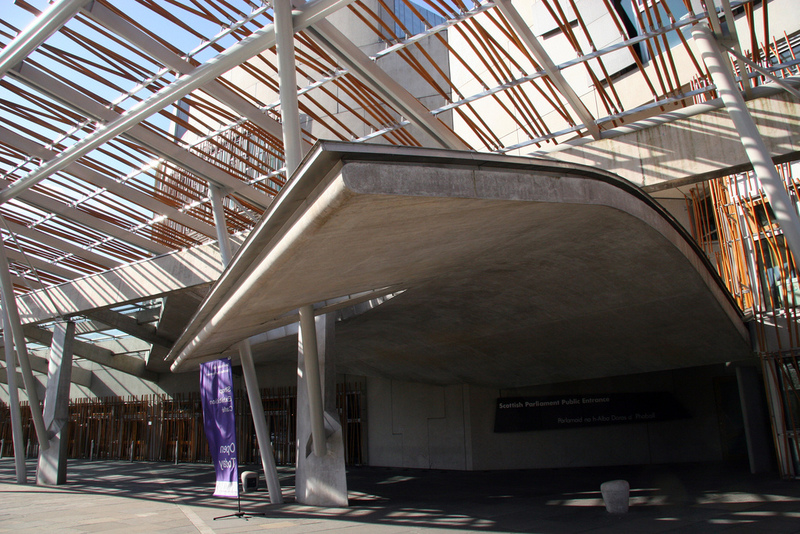 As such, the security ring around the Scottish Parliament was incoherent and patchy. Several constituency and regional list MSPs sent their researchers out into the city, and these employees soon returned carrying tapas, cava and bottled water to the elected representatives of the people of Scotland. Clearly, Scottish banknotes were passing as legal tender in the cafés of the old quarter. Replenished by the food and emboldened by the sparkling white wine, the Members of the Scottish Parliament convened in the chamber and began to discuss for themselves their new status. Early on, they resolved unanimously that they were certainly not a part of Spain. They retained the Silver mace presented to the parliament by Her Majesty Queen Elizabeth II in 1999, which suggested that they could and should continue to fulfil their legislative duties toward the people of Scotland. The Catalonian parliament were stand-offish. Yes, there was a certain symbolism in being able to host the legislature of a nation with similar pretensions to independence. But on the other hand, the Holyrood parliamentary estate did, in a funny sort of way, represent a rival centre of power that, many Catalonian politicians felt, could undermine the unity of the people’s support for their own project to break away from Spain. 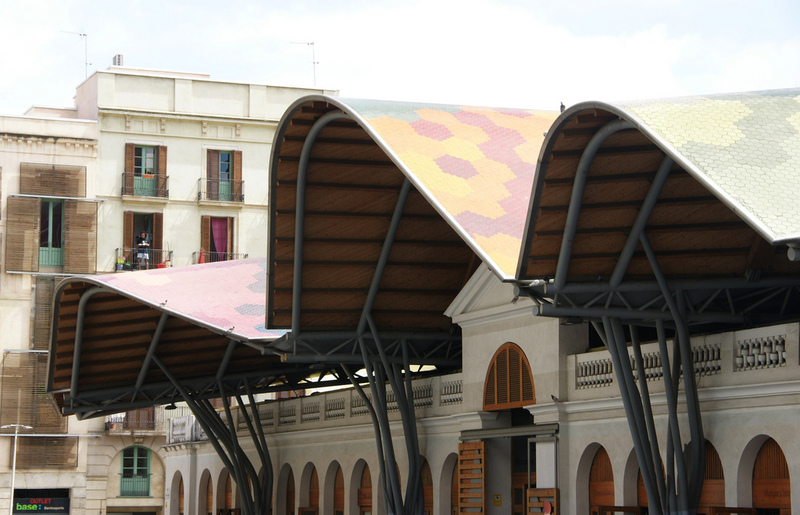 And was not this Celtic occupation of the Mercat de Santa Caterina a form of conquest? Perhaps the authorities should lay siege to this invader wrapped in curved wood and concrete? In London as in Madrid, the fact that the Scottish Parliament was un-moored from its Edinburgh base presented an unwelcome diplomatic problem. At least Gibraltar was accessible by sea. Should the Ministry of Defence send troops to secure Holyrood’s perimeter? The British Consul-General was dispatched from his office on Aviguda Diagonal to the Mercat, where of course he offered every assistance that Her Majesty’s Government could provide. An embarrassing exchange followed in which two Scottish National Party MSPs attempted to receive the Consul-General as if he were a foreign ambassador. While the First Minister herself was not present during the conversation, she did little to discourage her party colleagues from their stunt, and later offered only cursory regret for any ‘confusion’ that might have been caused. Was the world about to witness a 1.6 hectare city state declare unilateral independence? Would it – could it – drag the rest of Scotland with it? Talk of independence soon dissipated, however, when the denizens of the relocated parliament realised a larger potential. It was one of the Liberal Democrat MSPs, representing an Island constituency, who first pointed out that the Scottish Parliament was situated firmly within a country that was a willing member of the European Union. His tone was matter-of-fact, but the subtext of his meaning was clear. His colleagues in the parliament, of all political parties, rose to affirm this statement of the obvious. What, they wondered aloud, would be the implications of this on the negotiations taking place in Brussels? While Scotland’s parliament was stuck in Barcelona’s Old Quarter, there could be no question of any kind of hard border between the people of Scotland and their legislature. And that is how the British Government negotiated an Article 50 extension, and the wheels of Brexit began to reverse. 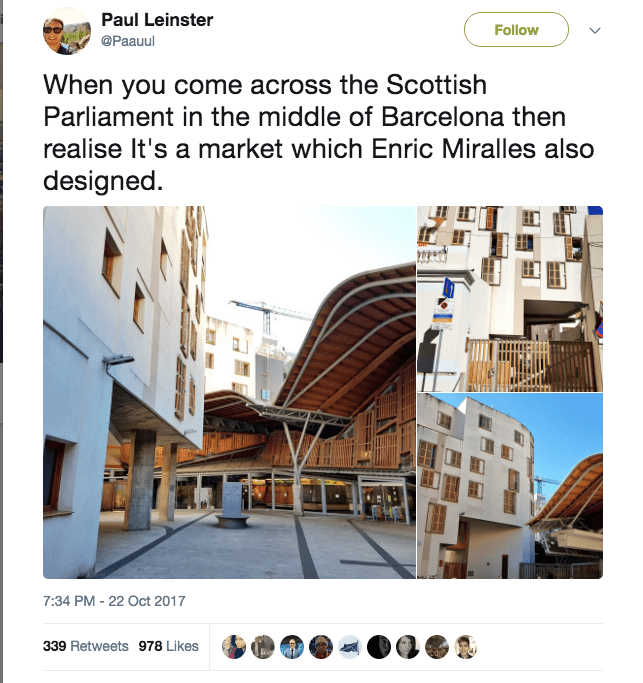 I wrote this whimsy in a fugue state one evening in October after seeing this tweet “When you come across the Scottish Parliament in the middle of Barcelona then realise it’s a market which Enric Miralles also designed.” Thank you Paul for the inspiration. First published as El Miracle de Miralles on the author’s site. Featured image: Mercat Santa Catarina, Jaime Silva CC BY-NC-ND 2. > The British Consul-General was dispatched from his office on Aviguda Diagonal to the Mercat, where of course he offered every assistance that Her Majesty’s Government could provide. Some Bacalao and a bottle of Penedès? I now realise, too late, that the title of this piece should have been simply Cataledonia.